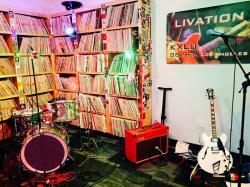 Los Creepers on LIVATION, Wednesday 3/20! 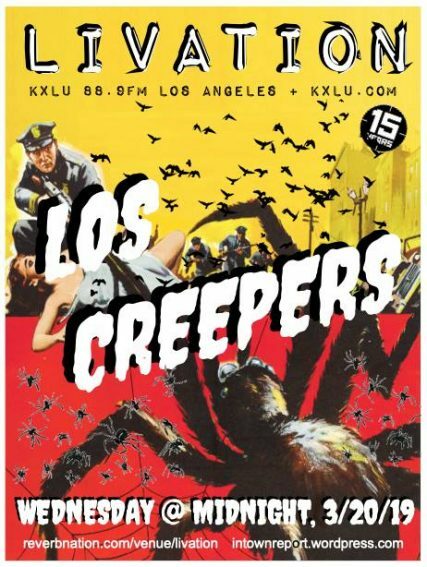 Northeast LA punk rock veterans Los Creepers established their foundation with long time members Alex Alvarez (guitar), Herman Ibarra (drums), vocalist Javee Lopez, John Hernandez (bass), and Danny Gonzalez (guitar). Los Creepers remain true to their roots, addressing the harsh realities of a world filled with war, and anger expressing their frustration with society, the government, poverty, and heartbreak. This band is unafraid to challenge themselves musically and lyrically. Tune in to LIVATION at 88.9 FM in Los Angeles, or stream it live at kxlu.com or on the KXLU phone app, Wednesday at Midnight – Thurs. 2am. The band goes on between 12:15-12:30 a.m. early Thursday morning, with an on-air interview with the band to follow.